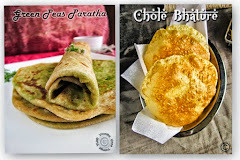 Hi friends, paratha is all time favorite with some vegetable kurma, paneer butter masala and stuffed parathas are even more interesting and filling one. 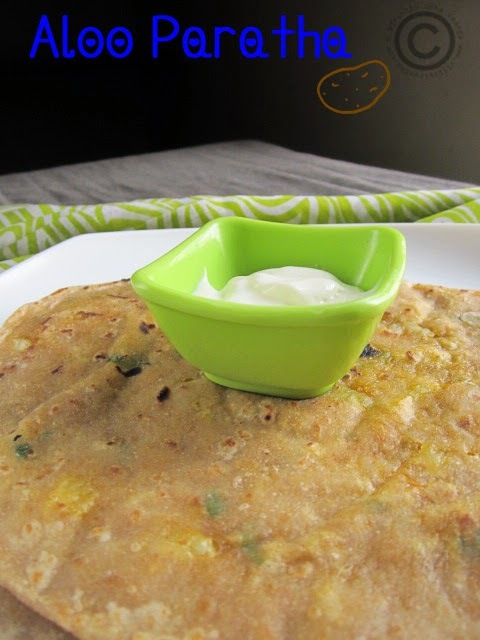 I love stuffed parathas more than normal; here I have prepared my most favorite aloo paratha. 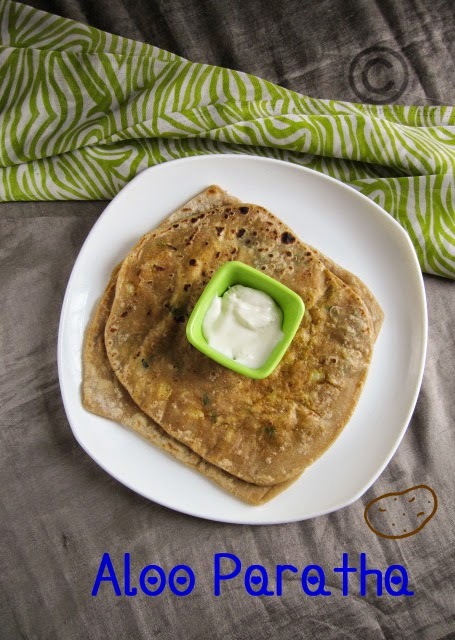 Knead the wheat flour with salt and oil by adding water into smooth dough and keep it aside. Meanwhile boil the potatoes and peel the skin and grate it. 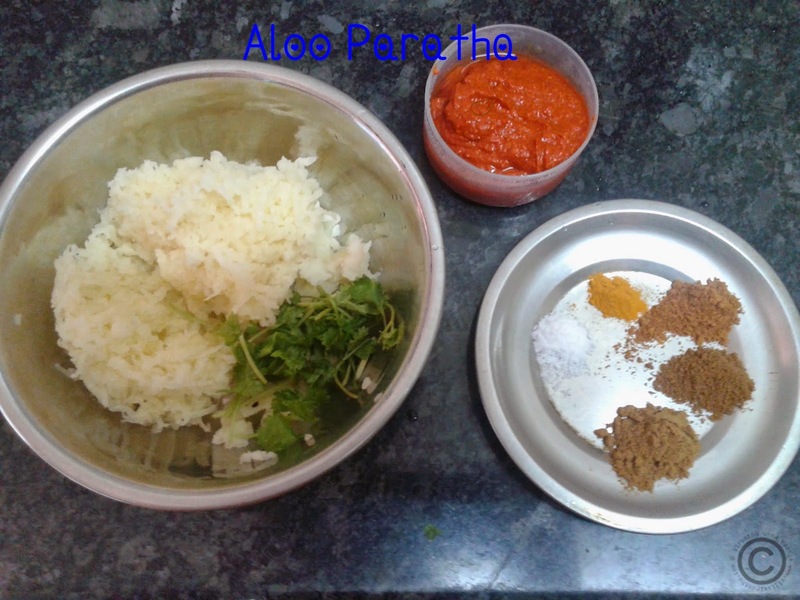 Take a bowl adds grated potatoes and then add all the spices mix it well in hand till combined well. 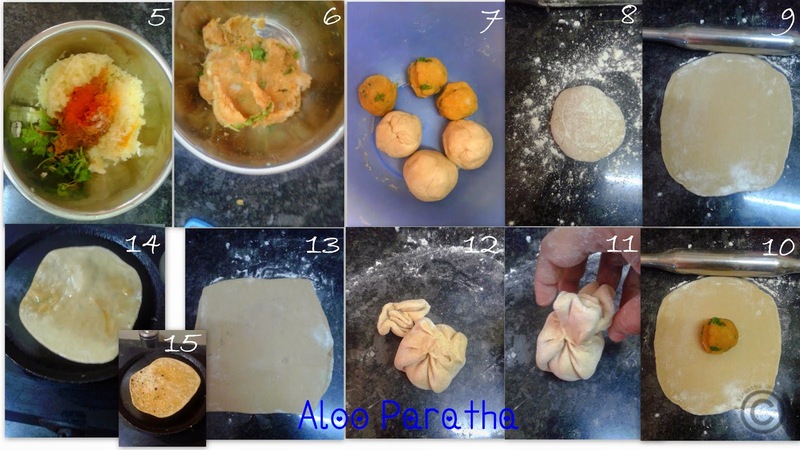 Now divide the aloo masala and wheat dough into equal balls. 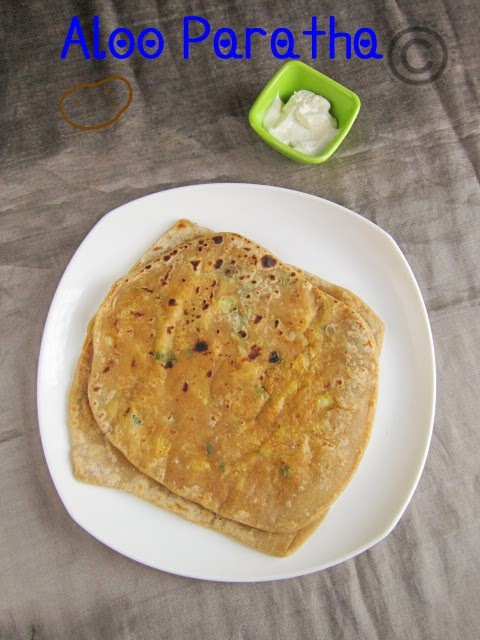 Roll the dough into circle, and place the masala on the centre of the paratha. Cover it like pouch as I have shown in the figure, and pinch out the extra dough on top. Now roll it between your palms and roll it gently into circle. Cook it on tawa on both sides with drizzling oil. Spices are your wish, you can add more or less according to your taste. 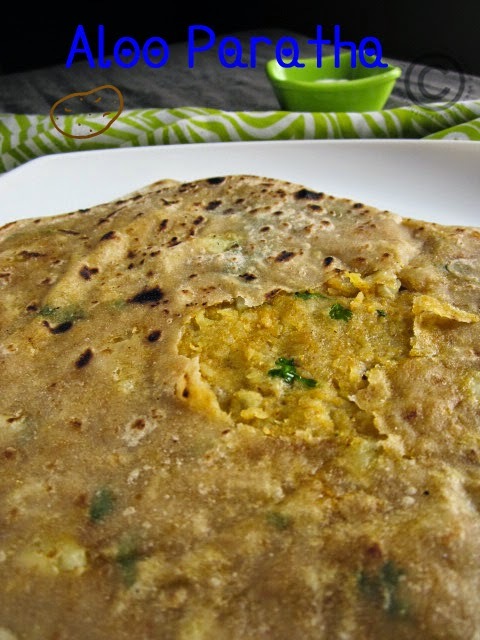 Grated potato will prevent lumps while rolling and gives smooth texture to the paratha. Yummy yummy parang as..very tempting. 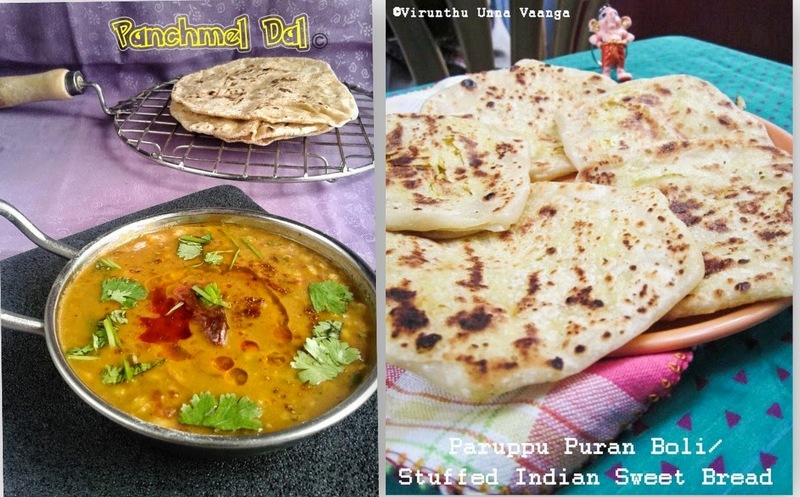 TAMIL NEW YEAR RECIPES 2014!! !